Yesterday I swatched and reviewed ILNP Birefringence (H)(see post). 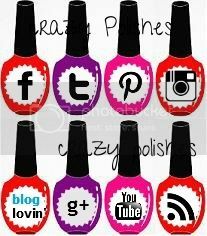 Today I am sharing a nail art and a video tutorial I created with the polish. The lace design is from Vivid Lacquer VL 032 stamping plate and stamping polish is konad white sp. I did water spotting with opi my boyfriend scales wall. (see tutorial below). Here are few pictures taken under direct light to show the holographic effect. And here is the tutorial to create water spotted nail art. You can buy this polish from ILNP website.